You might remember a brilliant clip that did the rounds back in November after England’s win over South Africa at Twickenham that had us all in absolute stitches. 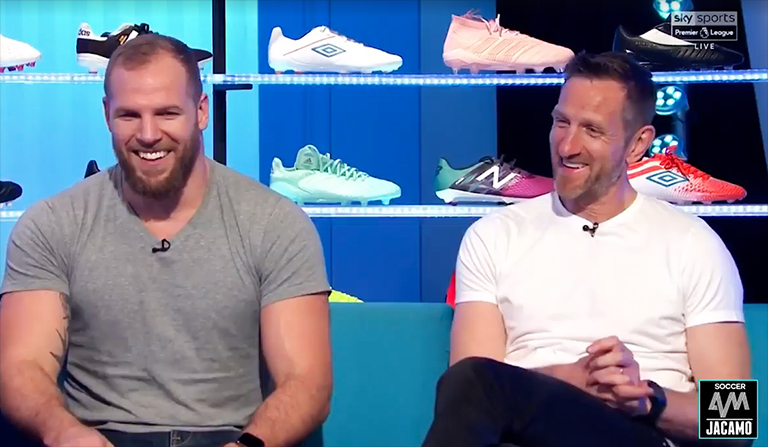 The clip I’m referring to featured a certain James Haskell – who appeared to be absolutely pissed drunk on live television while doing some punditry alongside Will Greenwood for Sky Sports. In the end it turned out Haskell wasn’t actually steamed, but instead was unfortunately made a complete laughing stock as a result of an issue with the sound engineer. But that hasn’t stopped Soccer AM taking the absolute piss out of the England flanker once again, with both him and Greenwood guests on the show over the weekend.